The whispering of Gaia is echoing. 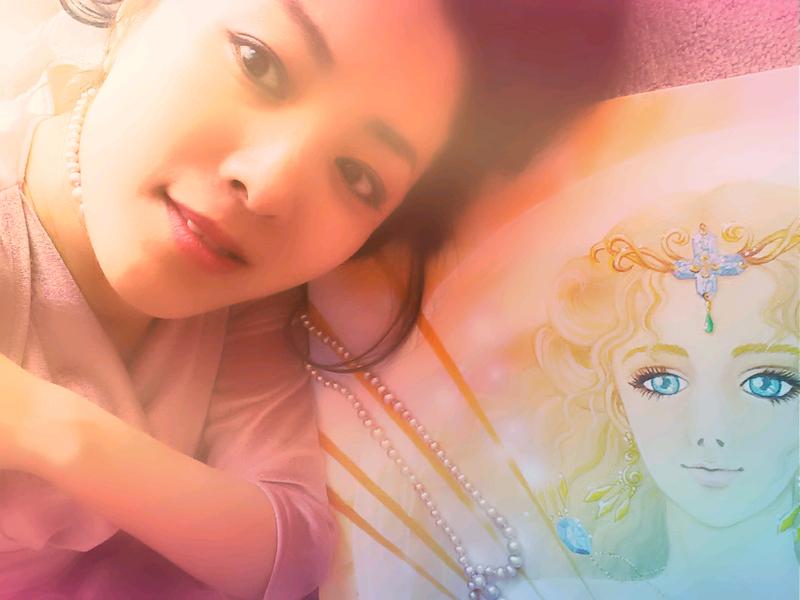 The vision of this mermaid already came to me before I met Ms. AZAMI who is a healing singer from Yakushima island. But, the back ground was all green, not ocean blue, even though I didn’t know why, and I wondered. And, I was guided to meet AZAMI. When I listened to her song “Harukanaru Kaze” (The wing from far away), I felt I really stood light there in the forest of Yakushima and felt the moisture of it. 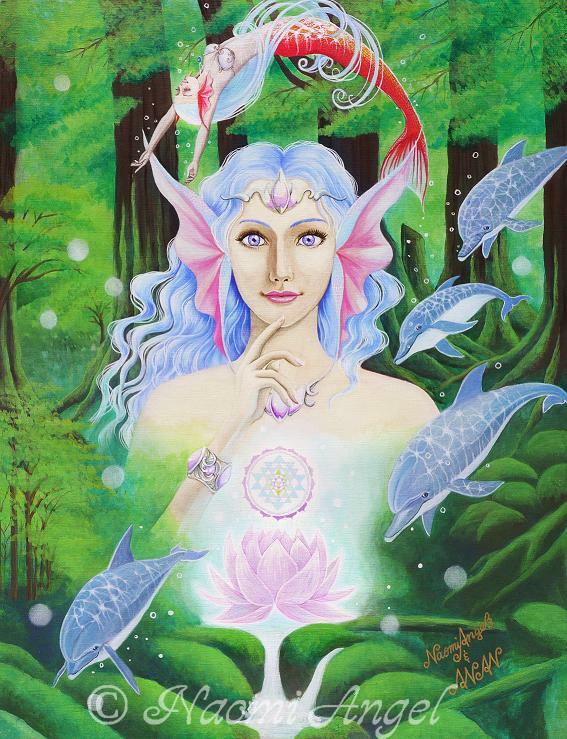 Then, I realized the vision of the mermaid with green back ground meant Yakushima island. The brilliant clear blue water and the big forest with deep green breath. The spirits of Yakushima sent me the vision with the wind. Human being can be great one who make nature live. The spirits are taking to us. The picture was exhibited on the stage of AZAMI on July 19th 2010. I painted with “ANAN” who is a beautiful white guardian dragon came to me In autumn, 2009. 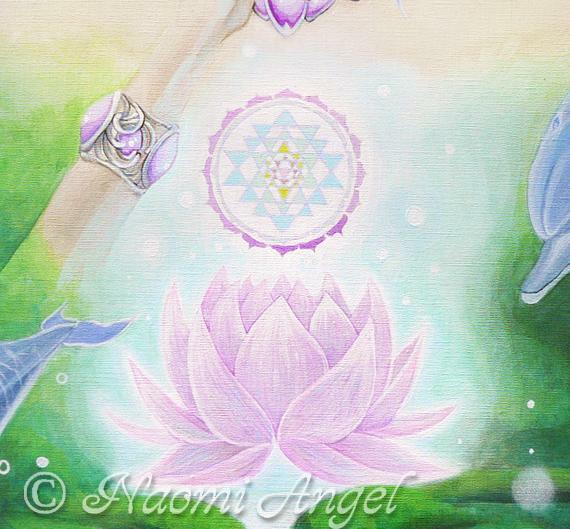 The Yantra flowing over the lotus flower is “Sri Yantra”. It has the strongest power of all Yantras and also means Universe. *　A nice episode for this art.